...is the most fully comprehensive guide for the Investigator and Security Consultant ever published in the United Kingdom. The techniques and methods described in this unique book are a combination of both Police and Special Forces training. The procedures taught and described are realistic and cover the essential topics that the modern Surveillance Operator should be familiar with. If you are in the Security Industry, this book is a must. Everyone charged with carrying out investigations and undertaking a surveillance in order to gather evidence, should find this book both informative and educational. The book illustrates the methods and techniques which have shown to be sucessful. 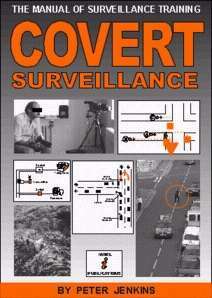 It has been compiled to be used as a guide and reference book to the Surveillance Operative and is comprehensive enough to cover the subjects required to plan, carry out, gather evidence and report on a covert surveillance. This detailed manual of 224 pages is complemented by colour diagrams and over 60 photographs. Peter Jenkins has been managing his own Commercial and Corporate Investigation Agency in West Yorkshire for the past ten years. He holds a track record dealing in the investigations of Theft, Fraud, Copyright Infringement and Commercial Parallel Trading. Previous to this, the Author spent 12 years in the Royal Marines where he specialised in various roles which included: Intelligence, Reconnaissance, Counter Terrorism and Instructing. He continues to carry out surveillance work on a regular basis, in addition he regularly instructs on surveillance techniques courses for Private Companies and various Government Agencies. as supplied to police, mod, m15 and gchq! The Uk scanning directory covers everything from secret government frequencies to your local store detective. It also has the largest police frequency list ever published. This new edition has been completely revised and thoroughly updated and now covers 25MHZ to 1.8GHZ. The detailed listings which continue to amaze everybody, include Civil and Military Aviation, Army, Navy, Police, DSS Snoopers, GCHQ, Eye in the sky links, Baliffs, Prisons, Motor racing, Universities, Baby Monitors, Railways, Telephones, Taxi Services, Couriers and many more we dare not mention! Dr Allen Cooper devised the Nutrient film technique and perfected its practical application through his research work at the glasshouse crops research institute in the UK. 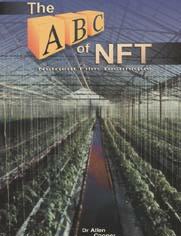 The development of commercial NFT cropping enterprises around the world has been mainly due to the work contained in this visionary book. Even today the full scope of Dr Coopers vision for NFT has not been fully explored. When first published the book quickly established itself around the world as the "hydroponic NFT bible", in his foreword to this new edition Dr Cooper throws out some challenges for the global horticultural community to take up. 270x210mm, 170 pages. Hydroponic gardening, designed for beginners of all ages, teaches the basics of hydroponic gardening- how to grow hydroponic plants from seed, and to feed them with naturally balanced nutrients. It also shows you how to transplant plants from soil to hydroponics and how to take clones from valuable plant stock for hydroponic cultivation. Once your hydroponic garden is established learn all about: principles of nutrient management, how to recognise nutritional disorders, how to combat pests and how to maintain an ecological garden. 275x210mm, 60 pages. 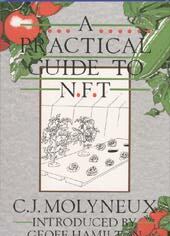 The Nutrient Film Technique (NFT) provides one of the most exciting opportunities to improve yield and quality in cultivated plants. The essential simplicity of NFT makes this new innovation equally as attractive to the private gardener as it is to the large scale grower. This book sets out the principles and practices of the technique in a concise but thorough manner. Where appropriate the expert text is lavishly illustrated. With this guide at hand anyone can introduce NFT, be it to a domestic situation or a commercial holding. What is more, when operating their NFT unit they are assured of professional advice and day to day assistance whenever the need arises. 290x210mm, 150 pages. In six chapters, this book looks at the difference between liquid and powdered nutrients, single-packs or twin-packs, grow and bloom formulations, and organic nutrients. The author examines nutrient concentrations and the availability of nutrient elements to plants. and looks in detail at chemical tests, reverse osmosis, disinfestation of water, and the importance of aeration. The author explores the importance of nutrient solution temperatures, nutrient strength (electroconductivity), and the acidity (pH) of the nutrient solution. The author also describes in detail a new non-chemical method of pH control for the nutrient solution. Nutrient solutions develop imbalances over time - there is no nutrient solution that will not do this. The author outlines 10 steps to determine nutrient deficiencies, and examines common nutritional disorders. He also provides expert advice on how to correct nutritional problems. Well illustrated with photographs, charts and tables, this book is as much for the beginner as it is for the commercial grower. Light is one of many environmental factors that determines plant growth. When gardening indoors, hobbyists and professionals alike assume the responsibilities of Mother Nature. Indoor gardeners must regulate water, fertiliser, humidity, nutrients, carbon dioxide, heat and light in order to promote optimum growth. Until recently, gardeners knew how to best regulate all of these factors except one: light. 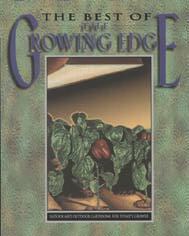 Accepting that they could not control the sun's cycles, gardeners resigned themselves to losses during winter months. Through research and experimentation, however, artificial lights have made it possible for gardeners to control lighting. In fact, gardeners can so accurately control all the factors which contribute to plant life that an indoor garden can flourish even in an isolated, windowless basement. The development of artificial light technology has had clear benefits for production growers. Production growers have been able to improve the quality of their vegetables and flower crops, better utilising outdoor field and green space, extend plant longevity and synchronise planting with market demand. Artificial lights allow garden- to force flowering according to seasonal demand. A poinsettia or Christmas cactus, for instance, will sell better in December than in July. Some of the very best articles from the only magazine dedicated to todays innovative grower-from the home hobbyist to the professional horticulturist. New and creative solutions to age old gardening problems and environmentally sound strategies for producing your own fruits, vegetables, herbs and flowers in an increasingly urbanised and polluted world. Articles on: soiless gardening, nutrient control, water saving techniques, greenhouse construction and control, indoor gardening, artificial lighting, biological pest controls, new and unusual plant varieties, using plants to clean the environment and turning your hobby into a business. Gardening Step by step guide to growing perfect cuttings. How to grow a disease-free garden. How to experiment to achieve highest yields. How to control tempera-ture, humidity and lighting with ease How to build a misting chamber. How to take common cuttings: softwood, hardwood, semi-hardwood, leaf, root, division, air layering, plus grafting and more! How to choose between the latest rooting hormones. How to set up a perfect environment for cuttings. How to take cuttings with 100 percent results! Gardening How-to double plant growth and harvest.How-to get the most out of your C02 enrichment system. How-to set up a C02 emitter system. How-to set up a C02 generator system. How-to grow cuttings and seedlings with CO2. How-to set up the best ventilation system. Plants can use up to five times more C02 than naturally occurs in the air. C02, essential to photo-synthesis, is often the most over-looked element limiting plant growth. Fertilising the air with C02 can shorten growing time and double your harvest! Packed with the most up-to-date facts and figures on C02, Gardening Indoors with C02 shows you how to put C02 to work in your garden room or greenhouse for super results! 210x140mm, 95 pages. ù Avoid most soil and pest problems. ù Extend your growing season. Use the most up-to-date methods. Aromatic and flavourful... home-grown tomatoes! You can have great tomatoes these days-if you grow them yourself, and that can be wonderfully rewarding , , for you and for friends and family. Hydroponics Is the way to go: Nutritional abundance for YOUR tomatoes More freedom from pests and Insecticides More freedom from weeds More pleasure In gardening, with illustrated, easy-care growing methods. Howard M. Resh is one of world's foremost authorities on hydroponics. You can enjoy your own productive hydroponic garden with his expert guidance, based on experience in many countries and climates. 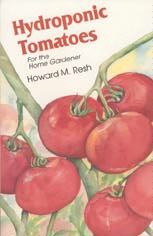 It's right here... in his practical, new guidebook for producing tomatoes like those you remember... attractive, appetising, and satisfying. Indoor vegetable Gardening tells how to build and enjoy a simple, low-cost hydroponic garden in your home using easily obtained materials. It shows how to construct growing trays, prepare an inexpensive watering system and how to mix the proper plant nutrients. 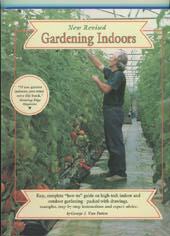 The author tells how to plant many garden vegetables, suggesting proper location, spacing, timing, and recommending fast-growing varieties that thrive in indoor-garden installations. He explains the process of pollination so well any amateur can master the techniques involved. Drawing from his many years of indoor-gardening experience, he treats speciality subjects such as tomato and cucumber culture and herb gardening. He also provides charts and guidance concerning critical factors such as optimum growing temperatures, pH tolerance levels, and basic plant structures. A significant contribution of the book is a thought-provoking chapter entitled "Survival Preparedness and the Indoor Garden." The author ponders the lasting effects of various emergency situations that might arise which might make outdoor gardening impractical. He tells how to enlarge the indoor system and garden using natural lighting. He suggests techniques for storing seeds and other supplies to be used if emergencies arise, and tells how to replenish seed supplies from the plants themselves. A comprehensive manual for commercial growers . 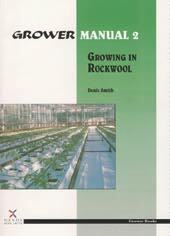 Denis Smith draws on his experience with Guernsey's Horticultural Advisory Service to explain the use of rockwool and other 'inert' substrates in growing, and the management techniques required. As well as rockwool, he deals with perlite, pumice, polyurethane foam, and six other 'minor' materials. 180x260mm, 138 pages. 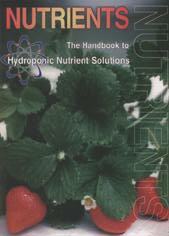 This is the book that will get you started in hydroponics. 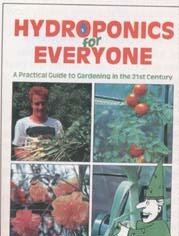 More thanj ust a discussion of the topic, 'HYDROPONIC GARDENING' provides the reader with complete background information on hydroponics, explains the different systems and how they work, then shows the reader in a step by step guide, how to set those systems up. 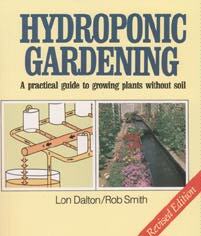 A growing guide is included showing you what to grow and how to grow it hydroponically. This book is an invaluable guide to understanding, setting up and running hydroponic systems for both the home gardener and the commercial grower. 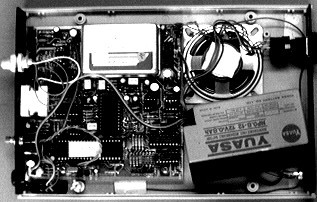 The product of the knowledge of two of New Zealand's leading advocates of hydroponics, 'Jon Dalton the director of a number of companies in both New Zealand and the Pacific, 'Jon's experience in hydroponic growing is coupled with Rob Smith's technical expertise in the design of electronic control equipment. As Jon and Rob have kept track of the latest developments in hydroponics this book is a must for would be hydroponic gardeners anywhere in the world. 210x170mm 110 pages. 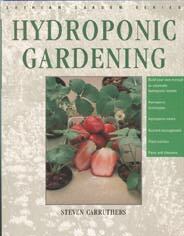 Now everyone can discover how easy and exciting it is to grow plants hydroponically. This simple, step-by-step video is designed for beginners of all ages. In five sections, it teaches you the basics of hydroponic cultivation-nutrients, pH control, growing media, hydroponic systems and artificial lighting. Also, a practical guide to transplanting and cloning Hydroponics is simply a more efficient way to provide food and water to plants. Plants grow quicker; there are no soil-borne pests and diseases, and there are no weeds. 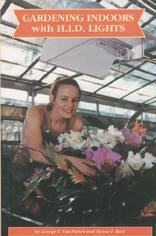 So turn on the tape and see how easy it is to grow your own vegetables and flowers hydroponically. Gardening Under Lights opens a whole new world to horticulture. Discover how easy it is to grow plants using artificial lights. Increase productivity in terms of improved growth and shorter cultivation times. Horticultural lights can be used to substitute daylight in a greenhouse; to force or delay flowering so crops can be brought to market on schedule, and when prices are highest; and they can be used to substitute daylight in a growroom. This simple step-by-step video is designed for commercial greenhouse growers and the serious home gardener alike, using either soil or hydroponic cultivation techniques. Gardening Under Lights teaches you the theory of light and photosynthesis, lamp types, ballast's, reflectors and light movers, planning an installation and growroom, economic aspects to horticultural lighting, and how to achieve the optimum indoor growing environment.